Two comics from Wednesday, July 16, 2014. Plus your Nerd Confessions (about your favorite character origins). 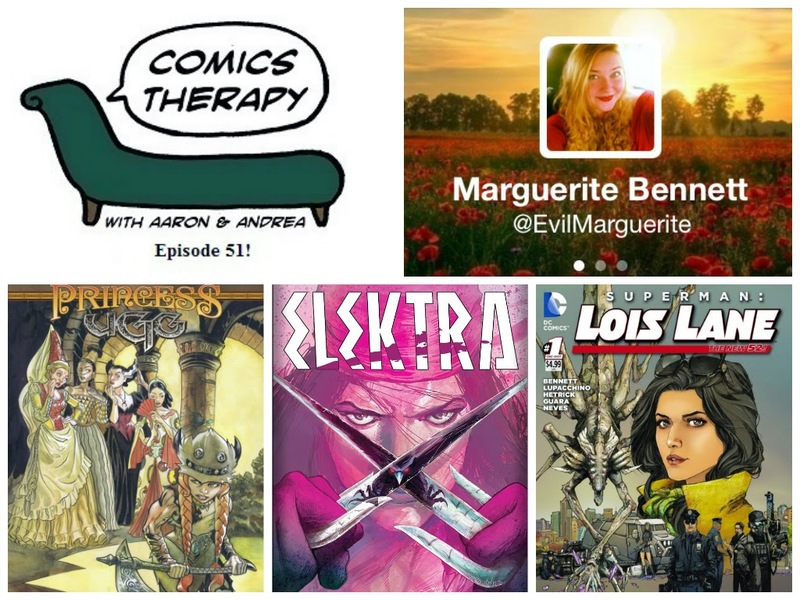 On The Couch: writer Marguerite Bennett. This week’s theme is you can’t deny who you really are. Nature or nurture, whatever it is that makes you you, can’t truly be contained. And more importantly, it shouldn’t be. You *are* a unique snowflake, and trying to be someone or something you aren’t just because other people want you to is only going to bum you out in the long term. We’re looking at two characters who are resisting their true selves, one to fit in and one to, well, not kill people. But hey, if killing people is who you are, do your thing. Maybe. In comics, anyway. An assassin with heart, and a discussion of memory and self identity. A (warrior) fish out of water, and a(nother) discussion of gender roles in today's society. Marguerite has written a handful of titles for DC comics, including issues of Batgirl, Lobo, Batman: Joker’s Daughter and Superman: Lois Lane. She’s part of the writing team for the upcoming Earth 2: World’s End weekly series out this fall as well. Last week, Marvel announced that Marguerite would be writing the Lady Deathstrike story as part of The Logan Legacy following the Death of Wolverine, also out this fall. And for Boom, she’s writing the Sleepy Hollow miniseries, based on the television show, and co-writing Butterfly with Aresh Amel, published through their Archaia imprint. Some of Marguerite's favorite books right now include Lumberjanes, Saga, Batwoman and Batgirl.